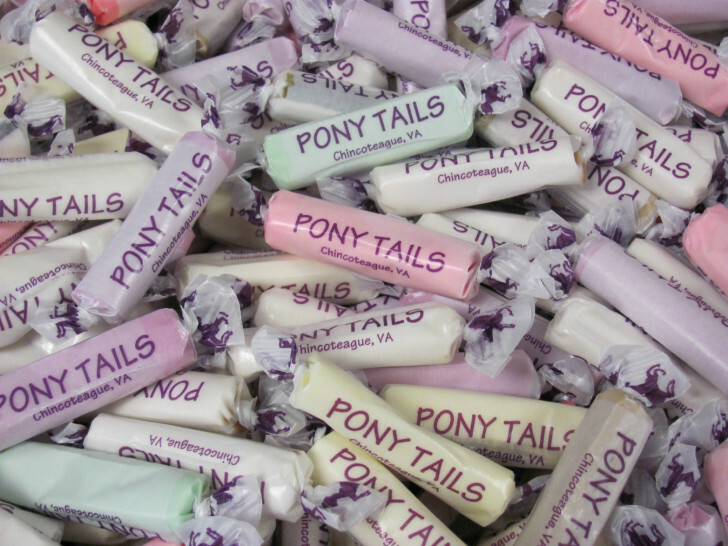 Pony Tails® Salt Water Taffy has been famous on the Island of Chincoteague, Virginia since 1965. 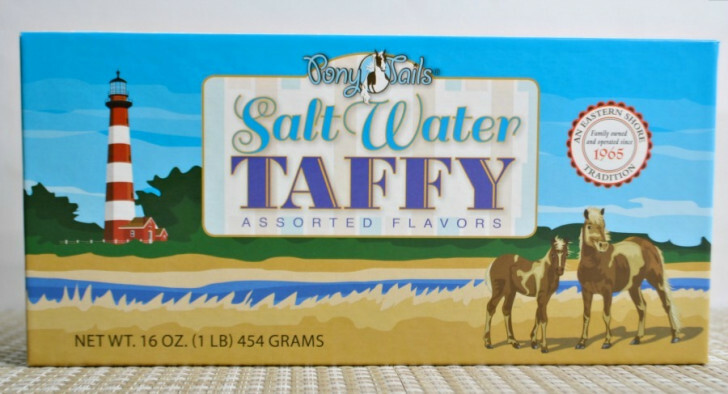 Known for it's creamy texture due to milk included in the recipe, Pony Tails® taffy is truly a gourmet version of typical salt water taffy. Packaged in a traditional two piece souvenir box with and assortment of popular flavors inside. Includes, but is not limited to the following flavors: vanilla, chocolate, strawberry, banana, orange, lemon, lime, molasses, peppermint, spearmint, and anise (licorice).